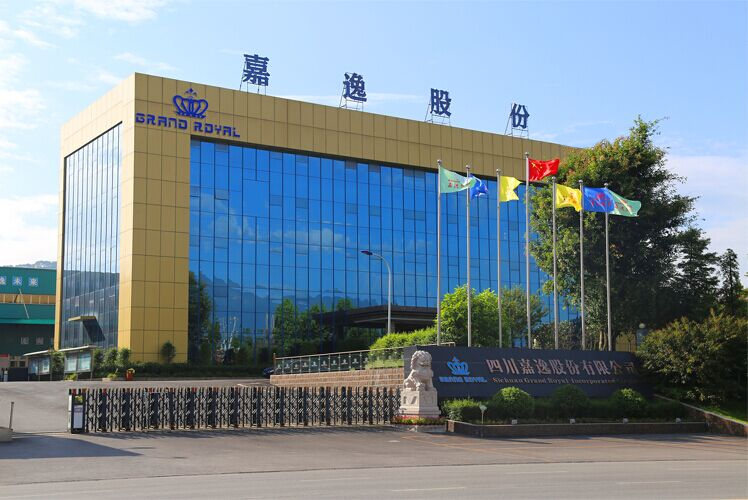 Sichuan Grand Royal Incorporated Co., Ltd is founded in September,2012.It is a large private enterprise which puts technological innovation first and emphasizes personnel's material and spiritual wealth. It has passed the TS16949 and ISO9001 certification and has been authorized the import and export right by the nation's relevant ministries.It is located the NO.48,South Industrial Park 2nd District,Linshui Economic Development Zone,Guang'an City,Sichuan Province in China,where is the hometown of former great national leader Deng Xiaoping,he was the chief designer who guided to form and open in China .The company has an independent R&D center,modern office building and factory ,covering an area of 50,800㎡ . Its registered capital reaches 120 million Yuan and its annual output value of production adds up to 500 million Yuan. the overseas staff is over 1000,and has almost 180 long-term cooperative enterprises. Chinese Dream, Grand Royal's Dream . high-end and creative equipment . Following the strategy of China “One Belt and Road”,leading the creative China all over the world,it's Grand Royal's mission. Grand Zhiyou Trading the strategy of globalization, to break through ASEAN Cambodia and Myanmar, Central Asia, Uzbekistan and other countries important Silk Road international market. Not only leading the development of its own international market, but also successfully lead the global and well-know brands Chinese Hisense Hitachi, SAIC Hongyan, China Ordnance Iron Group and so on in-depth ASEAN. GR-TRY PHEAP, GR-TMH will try their best to provide wonderful services for “ The Belt and Road”more made in China and brand. Jacksun Intelligent Manufacturing will lead China being creative and high-end, deeply reseach and develop the global top and automated products ,Improving the high-end and creative equipment of China in the global competitive position. And the globaltop robot supplier KUKA reached a long-term strategic cooperation with the company. And reached a long-term strategic cooperation with Chongqing University of China, Chongqing University of Posts and Telecommunications about culturing talents. Grand New Energy Technology, the construction of human low-carbon society and the development of new energy and photovoltaic technology will be the global identical strategy. Germany, the United States, Italy, Japan ,all of the countries advocate low-carbon society, including our country. Grand aviation precision parts, Grand common parts manufacturing, Grand shares of the automobile industry manufacturing, the inventive manufacturing is the core, and integrally improve the long-term development strategy in enterprise. Technology center, modern motorcycle assembly line, engine assembly line, new energy and electricity production line, as well as the advanced motorcycle detection, engine testing, parts testing and other appropriative equipment. With an annual output of 100,000 new energy electric vehicles, 300,000 motorcycles, 600,000 sets of gasoline engines, precision aluminum alloy die-casting products more than 5,000 tons of manufacturing capacity. With Honesty, heart intersect, continuous creativity, ingenuity service, to create 100 years Grand Royal's Dream, to contribute the greatest value for the development of human society.